Cool little story from tonight…I was out shopping for Food Truck supplies at Price Rite and I was wearing my green and yellow RIDC hoody. “We sure are….how can I help you?” I responded. 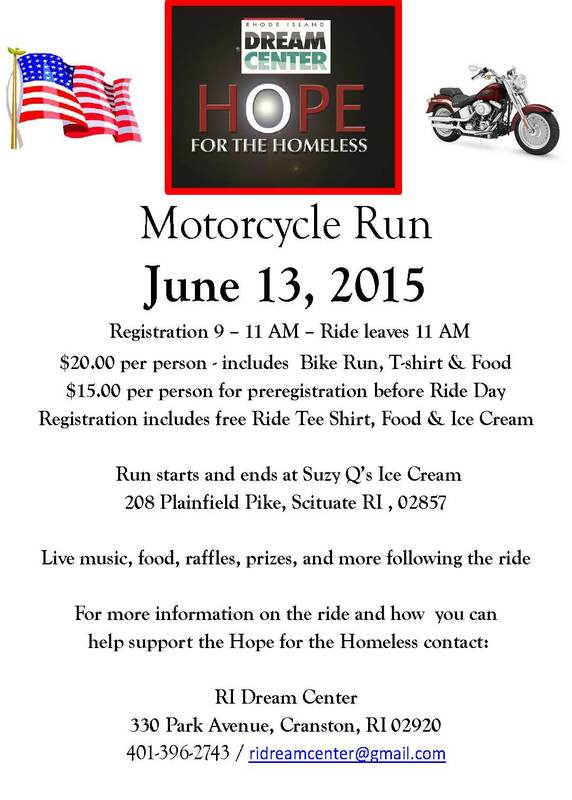 Motorcycle Run!! 6/13/15 you don’t want to miss this!!! 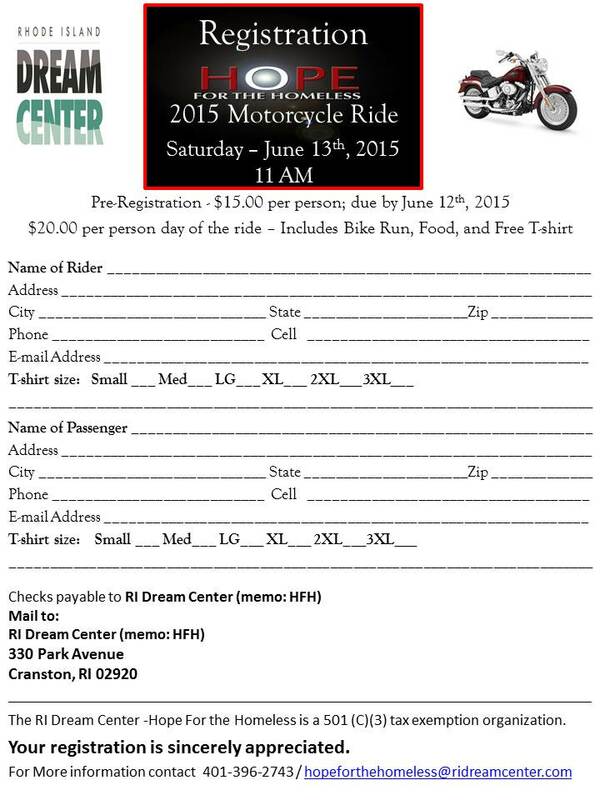 We are having our Motorcycle Run this year!!! For 15 bucks (early registration) you get a t-shirt, some yummy food, a fun ride, AND you get to support an amazing organization. Please share this info with all your friends and family! You don’t have to be a rider to be in on this!!! Events like this make it possible for us to hand out backpacks full of winter supplies to the homeless every year!!!! 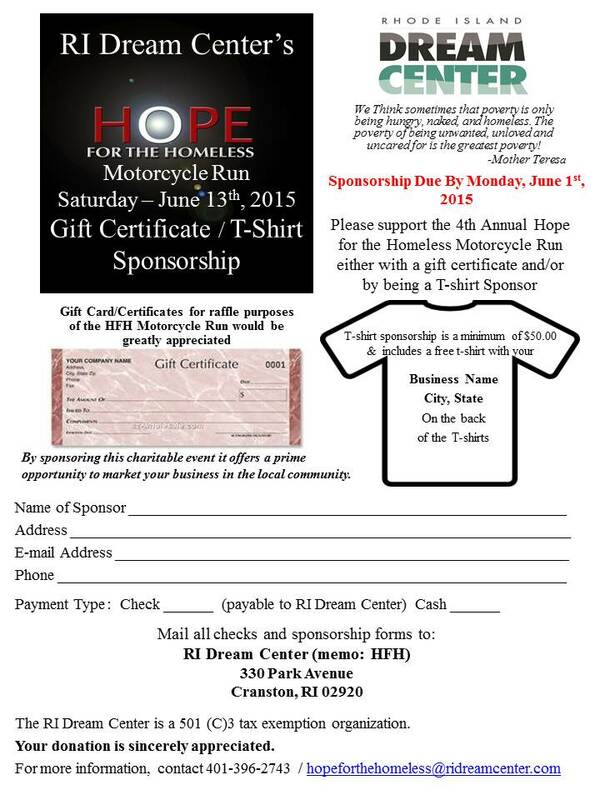 For more information, hit me up at 401-396-2743 or hopeforthehomeless@ridreamcenter.org!! !